Home / #AlilaExperience / #AlilaHotels / #AlilaMoments. 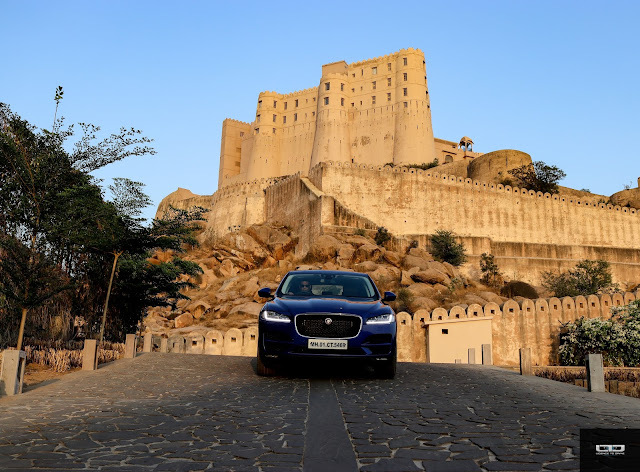 #AlilaFortBishangarh / British / Heritage / IncredibleIndia / India / Jaguar / LTDTravels / Luxury / Performance / Rajasthan / Sporty / SUV / Travel / Travelogue / Tripping / Alila Fort Bishangarh with the Jaguar F-Pace: A hush of history. A hint of mystery. 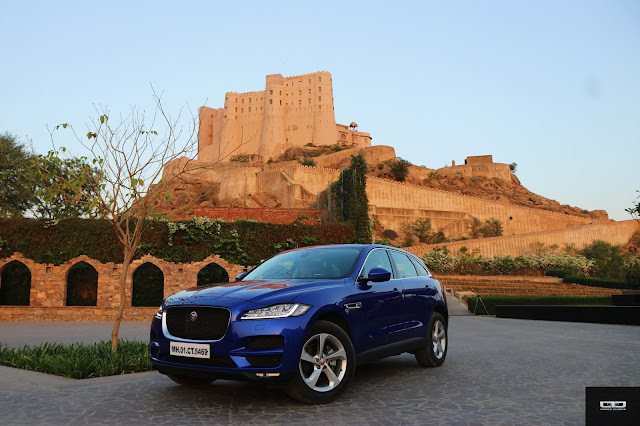 Alila Fort Bishangarh with the Jaguar F-Pace: A hush of history. A hint of mystery. It is rather tough to say no to a road trip to Rajasthan. Even more so, if your drive happens to be the Jaguar F-PACE. 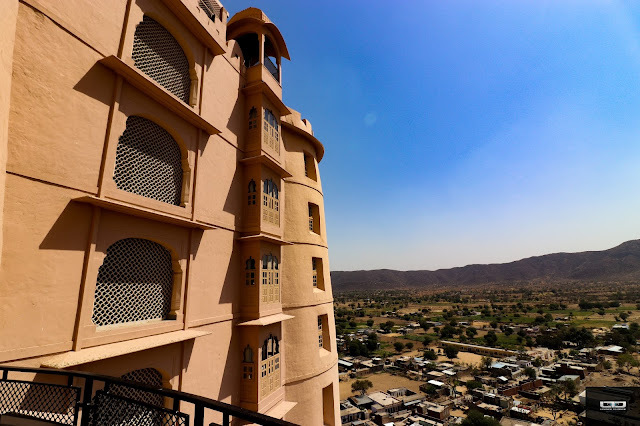 The rugged terrain across the princely state has an eclectic interweaving of heritage and history that makes for an impressive drive through, with the vibrant colours on local costumes adding a dash of cheer to the arid surroundings. The Aravalli range boasts of an impressive list of forts and palaces along its 560 km long stretch, a majority of which falls within the state. There are several popular destinations to choose for an idyllic getaway, but anything off the radar is what gets us excited. 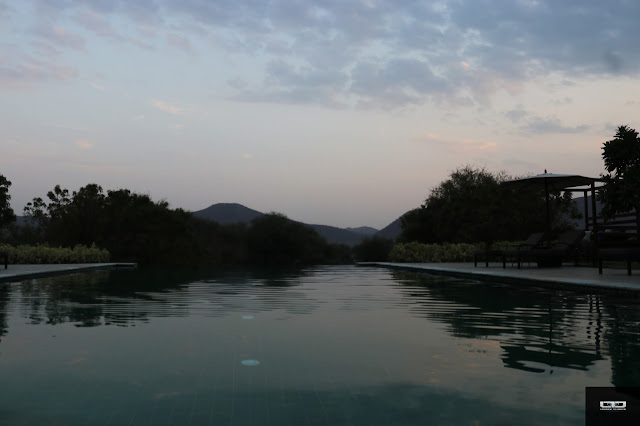 The newly renovated Alila Fort Bishangarh is one such. 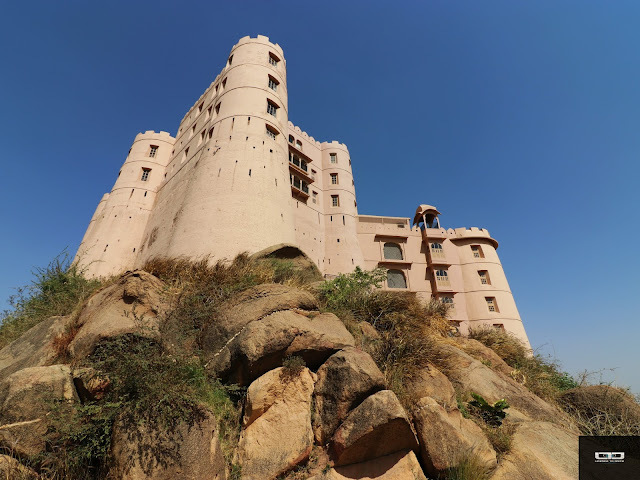 An easy four hour drive from Delhi and one hour from Jaipur, it is a 230-year-old warrior fort originally built by the royals of the Shahpura-Shekhawat clan, standing atop a granite hill. The fort has now been arduously restored and converted into an exquisite 59-suite luxury heritage resort. The restoration took close to a decade and ever since it opened its doors in the middle of 2017, the resort has put Bishangarh village firmly under the spotlight. It features in the hot destination lists of GQ, Condé Nast Traveller, and Travel + Leisure for 2018, and has been rated as one of the Best Hospitality Design Hotels by Connoisseur Circle 2018. 'Alila' means 'surprise' in Sanskrit, and from the choice of its unique location to the curated guest experience that follows, it is quite evident that the effort is to make it a surprisingly different affair. "If it is a challenge to operate, it qualifies to be an Alila Hotel", says Manish Kumar from the Alila team. 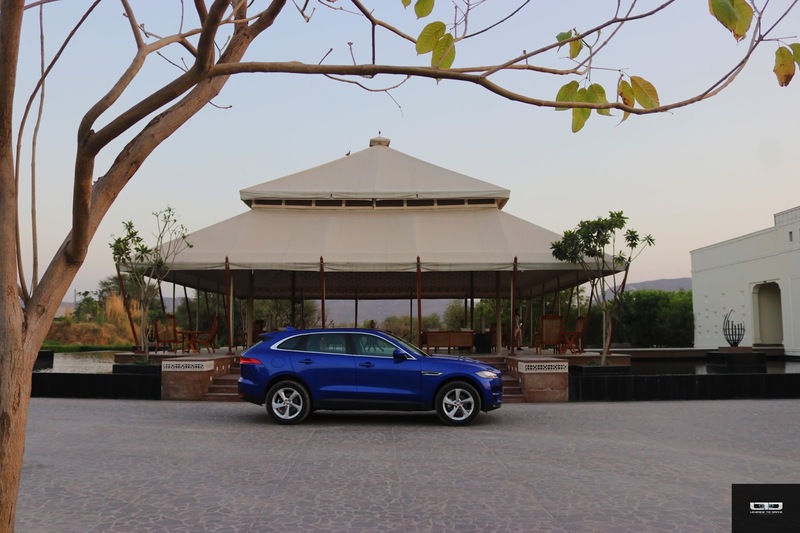 Our drive to Fort Bishangarh was the MY18 Jaguar F-PACE 2.0L Diesel AWD Prestige, which is unarguably the best looking SUV currently on Indian roads. Somewhat befitting to be driving up to an 18th-century restored fort in the first SUV from the British marque, making the journey and the destination equally inspiring. 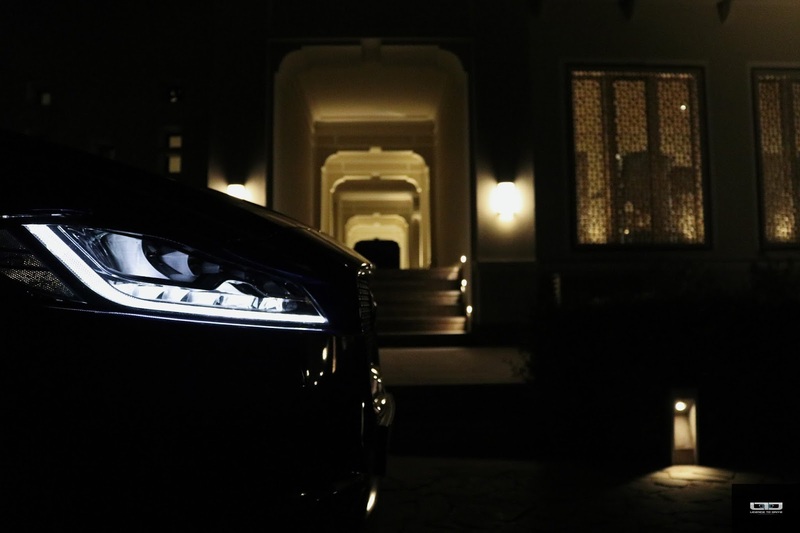 Each with its unique history and heritage, cradled in the lap of luxury. The journey from Delhi to Bishangarh put the F-PACE through its paces, giving us a chance to experience the superior dynamics and handling capabilities of this performance SUV, both on and off the highway. 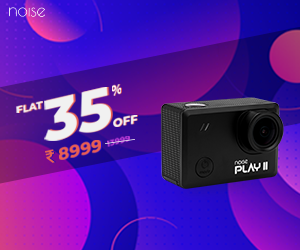 Its stylish accents, assertive stance and beautifully balanced proportions turned heads with effortless ease, commanding unwavering attention on the road. Inside, it came across as a perfectly sized urban SUV for a modern family. The F-PACE is no slouch when it comes to tech features and creature comfort. From finely crafted grained leather seats with contrast stitching and electrically reclining rear seats, to a 10.2" touchscreen infotainment system that offers seamless phone and music syncing, a 12.3" HD Virtual Instrument Display with innumerable customisable options, a 380W Meridien sound system, full screen navigation, voice commands, cruise control, mood lighting and ample cabin room, it is a personal bubble of luxury on the move. With a 2.0L diesel engine mated to an 8-speed automatic transmission with paddle shifts and multiple drive modes, it offers enough power on tap with 177PS and 430Nm torque. It hugs the highways like no other SUV we have driven lately and amazes with its lack of body roll. Which is quite a deal for an SUV to manage. The biggest challenge for us however was bargaining for the driving seat so that three driving members had equal opportunity behind the wheel. It's hard to let go once you are behind the wheel in this one. 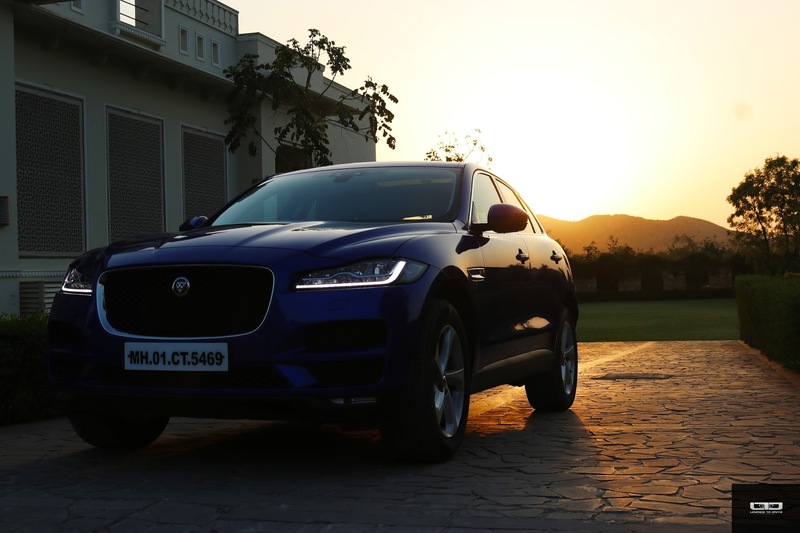 Read our detailed review of the Jaguar F-PACE here. A bit of a detour off the main Delhi-Jaipur highway led us to the majestic fort that stands gloriously amidst a vast expanse of lush fields and rugged terrain. It emerges at a distance as one drives through the dusty lanes of the village cluster, which is already warming up to the trickle down effects of the tourism economy. Menfolk are eager to clear the way and give precise directions, colourfully attired veiled women walk past nonchalantly, and local kids get their little thrills running behind the vehicle around the bends. 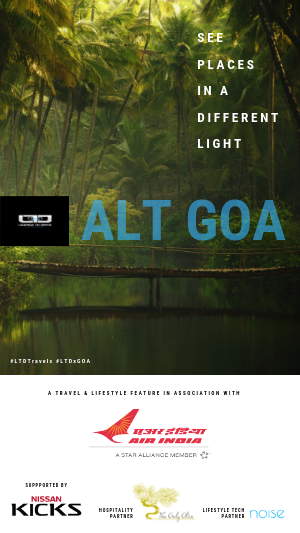 Though Alila is a relatively new name in the luxury hospitality space, it has swiftly made a mark for itself with some unique properties across India, China, Indonesia, Oman and United States. 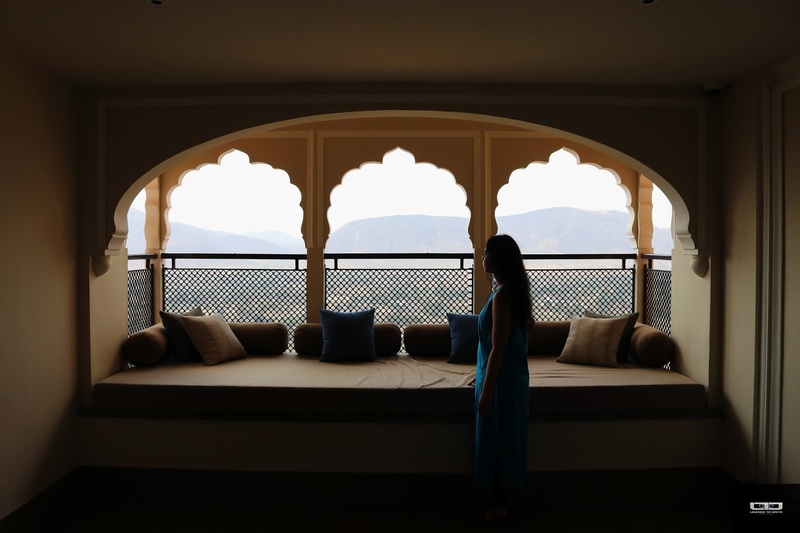 The sprawling 18-acre Bishangarh Fort complex is their second in India after Alila Diwa Goa. Despite being a heritage property and retaining the original character of the warrior fort, it has a very chic and contemporary vibe to it. There is a refreshing earthiness in the choice of colours, uniforms and soft furnishings at the resort with a neutral palette flowing through. Nothing is over opulent and there is a serene simplicity to its elegance, with every little detail designed to be in sync with the environment around. 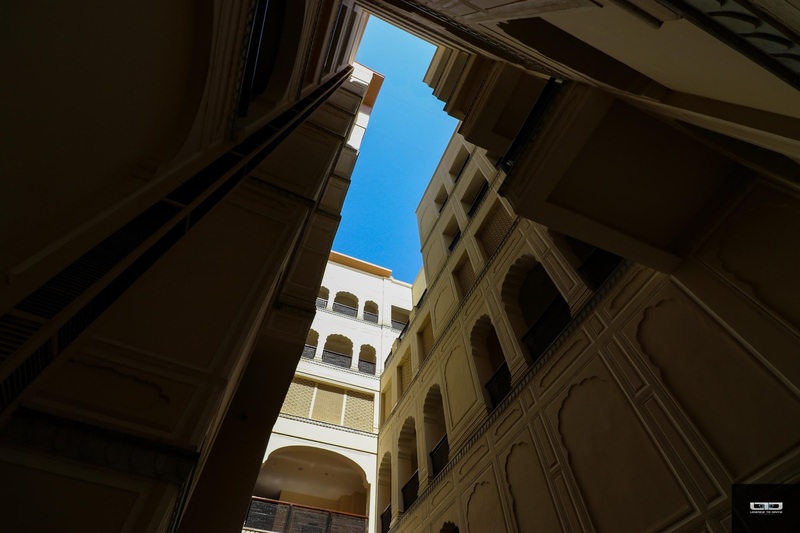 A personal leisure concierge greets you the moment you step into the arrival courtyard, which has a beautiful sit out area with the fort view. This part of the meet & greet area, the infinity pool, the pool side Mediterranean restaurant, the health club and kids play area are the modern additions around the original structure. Guests are driven up to the main fort in hotel vehicles only. The imposing structure above and the hinterland below takes the mind back by two centuries as one meanders along the steep paved pathway up to the fort. Restoration has been carried out keeping in mind the history, character and the purpose of the structure, with the sanctity of the original layout remaining untouched. Granite rocks in their natural form remain intact inside the fort corridors and staircases, with creative spaces carved out around them. The blend of the old with the new is intriguing. There is an air of mystery as one walks past the several secret stairways, turrets, cellars and passages, some of which have now been converted into functional areas. The corridors still have openings in the two metre thick stone walls that were once used for muskets to drive away the invading enemy. They now work as a natural air flow system that keep the interiors cool. Araish, the traditional Rajasthani art form of plastering surfaces has been used to finish the walls of the fort, with Mughal style arches completing the look. Dining and recreational spaces at the fort have been artfully planned and designed while optimally utilising the cellars, hideouts and secret passages of the fort and carving the bars, tea lounges and cosy nooks out of them. It is rather interesting to walk into a hidden alcove in a remote corner of the fort to find a range of cognac and cigars. Or a reading room. The thrill of feeling lost is unmissable in the labyrinthine stairs and corridors of the fort. 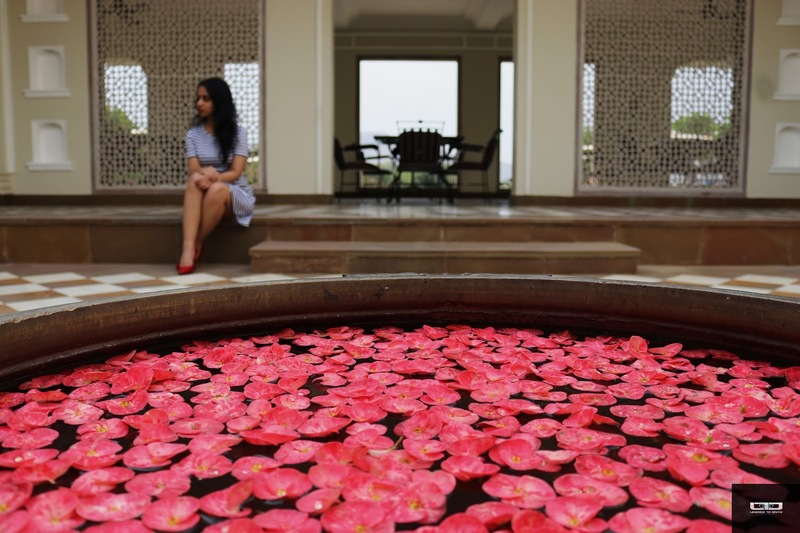 The dungeon that once was the most dreaded part of the fort has been converted into the signature Alila Spa, where one can indulge in a range of ayurvedic and beauty treatments. The Spa uses the in-house range of Alila Living products which includes luxury massage oils, bath & body products, and more. The amalgamation of the warrior fort’s past and its contemporary present makes it nostalgic yet refreshing. The suites are elegantly designed and hugely indulgent, with large bay windows, day beds, well-appointed bathrooms with Parisian bathtubs, his and her vanity, walk-in closets, HD TVs and more. One can personalise the Alila experience before arrival by choosing a preferred level of service (private, discreet or indulgent), type of pillow (choose from 9 options), dietary preferences, spa treatments and leisure activity levels. The resort organises village tours for guests that offer a glimpse into the day-to-day life in the countryside. Farming is the main occupation here but pottery, carpet weaving, handcrafted jewellery and dairy are some of the other sources of livelihood in the village. You can watch a silversmith at work, an artist weaving magic on the loom or try your hand at the potter's wheel. Fort Bishangarh has an impressive botanical garden of its own. Much of what the resort serves, is grown in-house. A walk around the organic farm with Chef Rajat was a delightful experience, as he took us through the farm-to-fork menu ideas that they keep innovating with, according to the availability of seasonal crops. The current crop had purple cabbage, baby carrots, thyme, garlic, spring onions, kale and asparagus with pomegranate, lemon and fruit-laden papaya trees growing along the edges. The resort offers a cosseting yet wholesome experience for guests, and the sprawling organic farm is a remarkable initiative in that direction. Where one can pick their own vegetables and co-create a meal with the chefs. 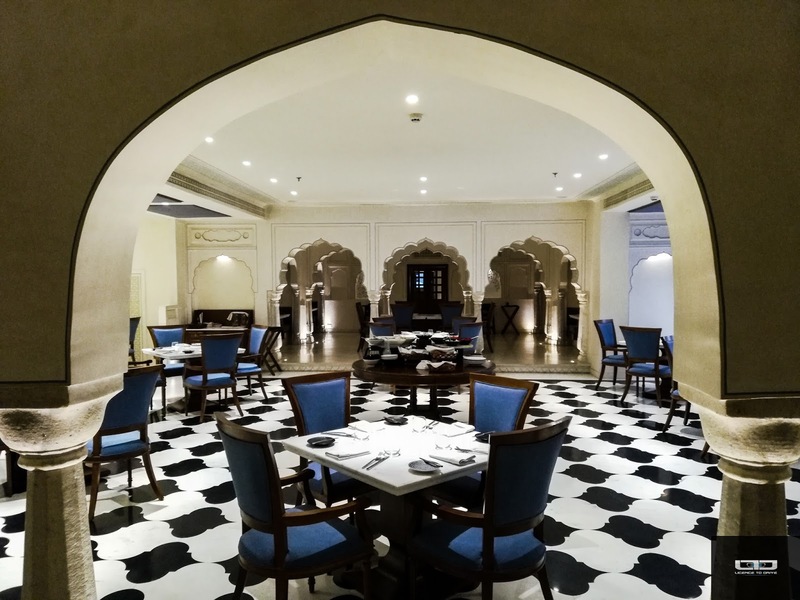 The culinary journey at Alila Fort is an attempt to amplify the experience with menu ideas that recreate the era of Shahpura's royalty for the contemporary palate. 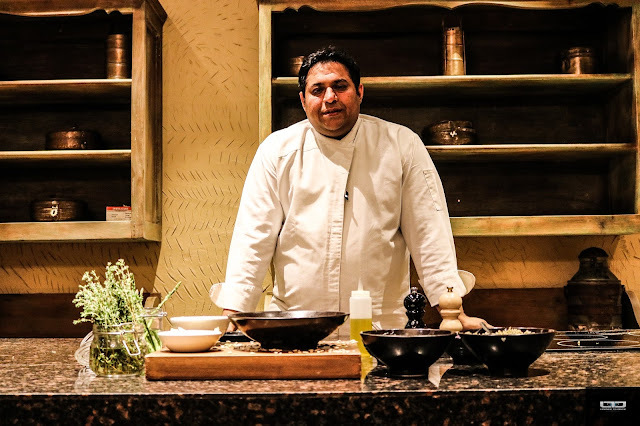 The cuisine concepts at the three restaurants have been curated by celebrated Chef Ranveer Brar, each one different from the other. 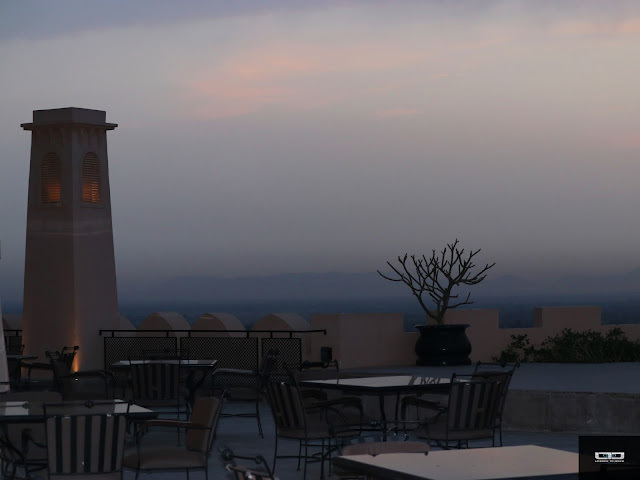 Nazaara, the open-to-sky dining space on the rooftop offers a unique experience under the stars, with sweeping views of the countryside below. It serves warrior cuisine cooked in sandpits and fire pits, infusing flavours using traditional methods. Shekhawati delicacies like Silbatta Kebabs and Sarson Mahi Tikkas, Apricot stuffed Khubani Paneer Tikkas and the delicately spiced Dal Nazaara are some of the stand out dishes. The menu is extensive and the entire experience is sensory. It's a transcending feeling at Nazaara to look at the infinity all around with the fort standing behind like a poet’s muse. The living quarters of the royal now house a fine dining restaurant Amarsar, named after the historical capital of the Shekhawati principality. This is perhaps the most beautifully done up space in the entire fort, with a fusion menu inspired by the Silk Route. 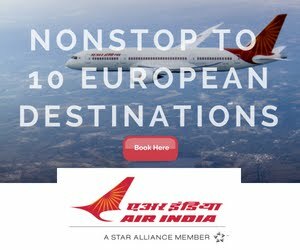 The Eurasian influence with a contemporary twist throws some interesting results like an exotic Duck Vindaloo cooked to perfection, served on a bed of curried rice with roasted apples and cabbage on the side. Or the Kale Papdi Chaat. A smartly tweaked version of the Indian street food with kale fritters. Another glocal twist is the Wasabi Edamame Hummus, served with toasted home made Khakras. Signature pieces from the well curated menu include Balti Meat with Khameri Rotis, Turkish Lamb Bakhlava, Samarkand Quail Curry and the Fort Ravioli. Even the Belgian Dark Chocolate Mousse has sugared fennel olives and raspberry jelly as surprise elements for a dash of unexpected flavours. Down at the Haveli, the menu by the poolside is a Mediterranean fare that brings out the best of the farm-to-fork experience with its chilled soups, salads, flatbreads, pasta, risotto, melts & sandwiches. A lot of experimentation and improvisation with ingredients and flavours is encouraged here. If the restaurants at Alila Fort are adept at satisfying the palate, Madhuveni, the bar and lounge offers the best ambience to unwind and relax over some fine cocktails and whiskey blends. 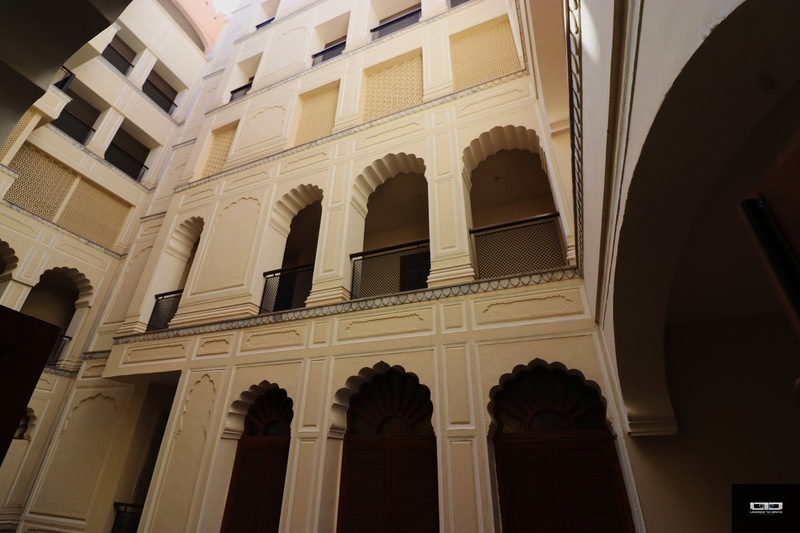 The Kachchawa lounge in the courtyard is another recess in the fort to enjoy an elaborate beverage ritual over some champagne, teas, cakes & savouries. Named after the famed Rajput clan, the lounge was once the meeting ground for the erstwhile royals. 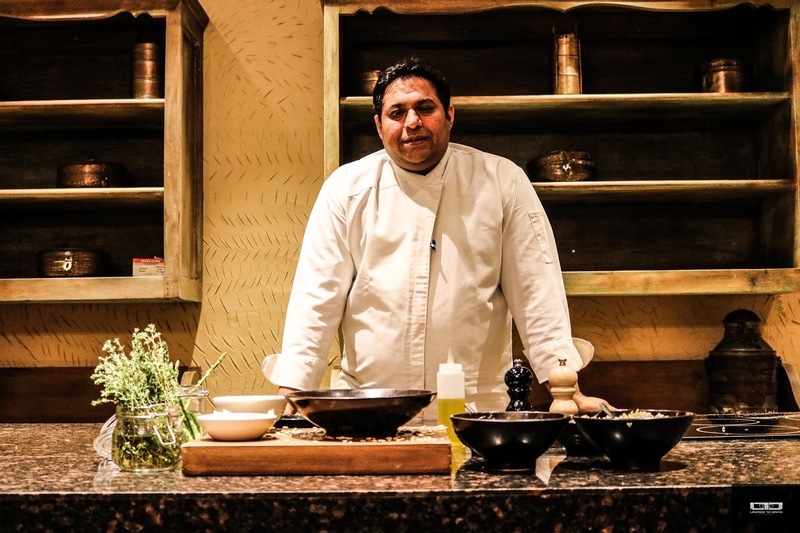 The cuisine is well intended, innovative and caters to a diverse palate; remaining true to the intended purpose of showcasing the authenticity of the region from a bygone era, for the modern day traveller. Losing oneself in the past and rediscovering in the present is a bit of a myth. Not at Fort Bishangarh though. The echo of horses' hooves pounding against hard earth reverberates as you enter the Pehla Darwaza and into the fort. Visually mapping the life of the royal warriors through the historic fort tour takes you back in time. The past and the present coincide. The old and new concur. 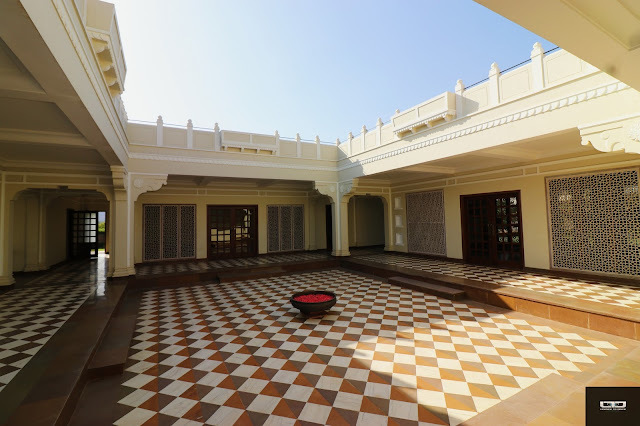 At Alila Fort Bishangarh, modernity interwoven into the royal tapestry from another era takes an enthralling art form. The subtle, elegant hush of luxury takes you back in history and leaves you with a sense of mystery. And the journey of discovery lingers well after you have retreated.